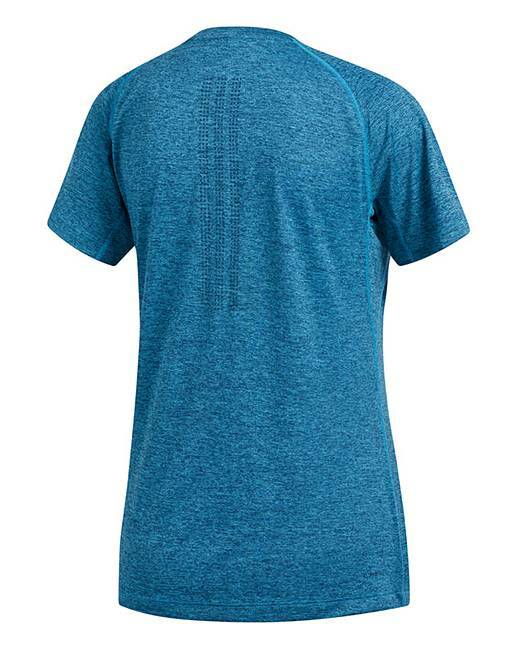 Refresh your workout routine in this adidas tech prime 3 stripe t-shirt. It has a supportive contoured feel for easy movement and stay-put coverage during overhead movement. Made of lightweight jersey fabric, the tee is designed to sweep sweat from your skin. Dotted 3-Stripes on the back add fresh adidas style.